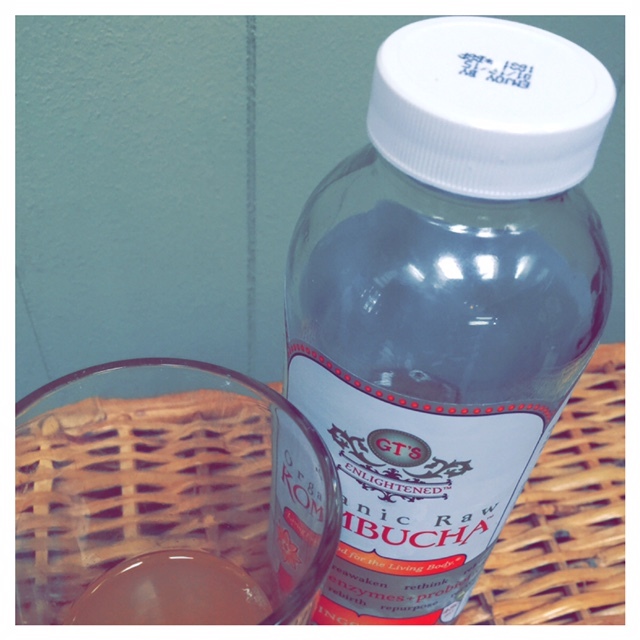 I drink kombucha regularly. I have for several years and notice that I am not feeling quite as good, in terms of digestion, when I go more than 3 days without it. While it seems expensive at $3-5 a bottle, there are usually 2 servings per bottle. Cap it and save the rest for the next day. Because it is bubbly, if you let it sit, it will lose it fizz. Don’t worry about the odd looking stuff in the bottle. It is meant to drink and where the good probiotics are! You can make your own, but for me, I am more consistent with consumption if I pick up a bottle. I love the Gingerade by GT‘s You can look up locations near you on their website. Here is what is can do for you? Read what Dr. Axe tells us about it in several articles found here.